Hey guys just got my first superhawk its a 98 with only 6400 miles on her. I have a lot of ideas on upgrades but wanted to know what others have done in the past. First of all does anyone know of an aftermarket fender eliminator kit for this bike? Also looking for the best Jet Kit/shim kit opinions? Thanks for your time. The first thing I'd be doing is fitting manual camchain tensioners. Superhawk tensioners have a habit of letting go at high revs, resulting in a chain that jumps on the sprocket and can lead to unwanted piston to valve contact. If you search for mcct and my user name you will find how to convert your standard cam chain tensioners to manual ccts with stainless steel hardware for about $14. Best deal out there. 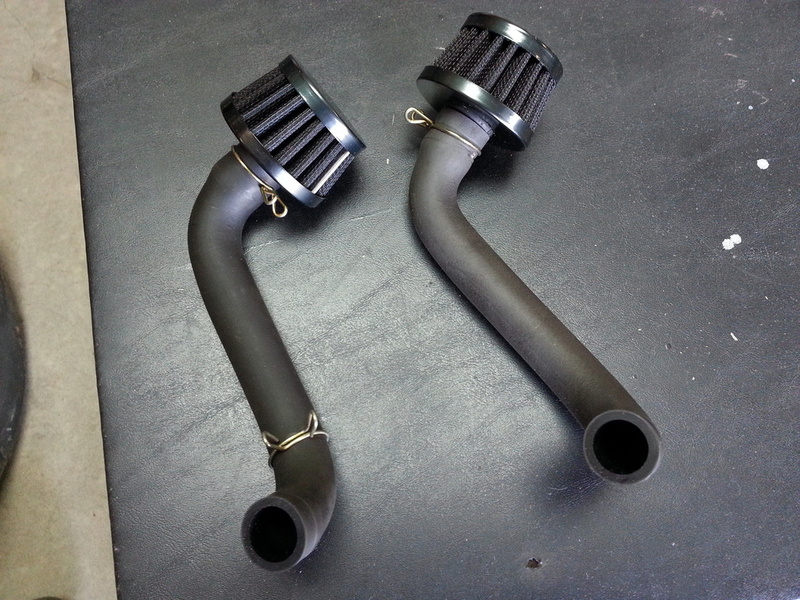 Easy upgrades are exhaust (slip ons are fine), and Hawk8541's jetting thread. I have a Competition Werkes stainless steel fender eliminator kit on mine (stainless two piece kit). You can check out my build thread for pics. Drop the forks a touch and shim the rear shock with a 6mm spacer and it'll turn real nice. Stainless steel braided brake lines on the front are helpful, and/or you can upgrade to cbr600f4i calipers for more braking feel. Do yourself a favor and take care of the mcct upgrade first. Don't ask how i know. Agree - first swap should be to manual cam chain tensioners. Fender eliminator - I trimmed my stock fender with a hacksaw, rounding the edges with a dremel and finished the work with sand paper, then re-located my license plate holder and light upwards. Total cost - $0, actually looks like it was made that way. Stick with a stock air filter. Run the bike. Ride the bike. 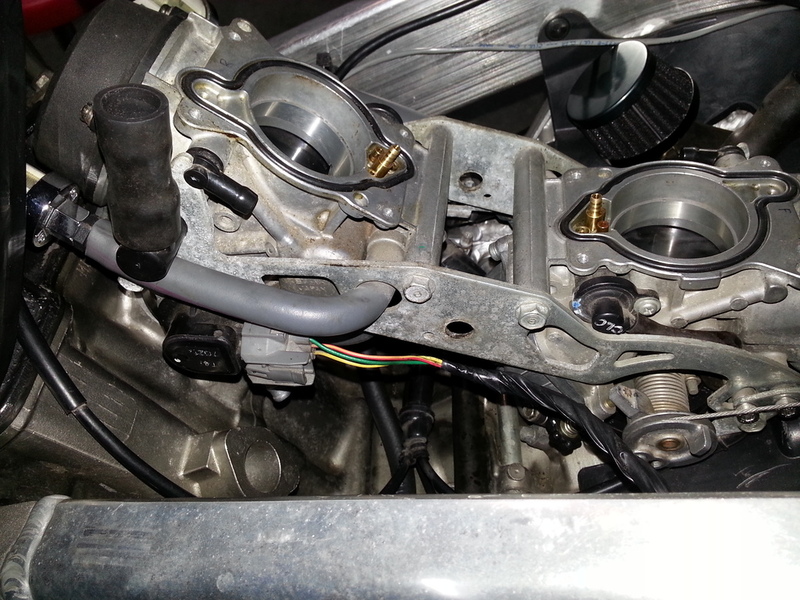 Clean the carbs, and make sure the stock plastic choke fittings aren't broken. Check the spark plugs - you may find there is no reason to re-jet - let alone buy a "jet kit". Your best, and cheapest way to determine if you need to make jetting adjustments is a dyno run with a carb savvy dyno operator. You will read pages and pages on here of "try this, try that, dynojet kit works, dynojet kit doesn't work" - end result - stock jetting is pretty close, maybe a little lean on top. I spent $70 on a dyno run, and he got my settings so much closer than all the internet reading ever could. But first - get the bike running right in normal, stock set-up, THEN dyno, THEN tweak. Tweak first, and forever hold your peace. Personal preference but mod the stock shift level. It annoyed the hell out of me the way it felt so sloppy. I will have pics of how I modified my stock lever in my rebuild thread sometime soon. Oh and mod the rectifier if it hasn't already been fitted with a MOSFET unit. There is a thread on here on how to do it. It will save you heart ache in the long run. Oh right, forgot about that. I have shifter mods in my build thread also. Pretty cheap upgrade. Since it is a 1998, the small foam "filter, sub-air cleaner" in the air box have probably deteriorated, order 2x 17254-MBB-000. They are around $2.00 a piece. While you are at it you can check condition of the air filter, and delete the "tank, breather" in the air box to add more volume of air available for the carbs. Just buy two UNI pod filters to put on top of valve cover vents. Wouldn't hurt to change brake and clutch fluids. I thought forum research had deemed the "tank breather" to be a good thing, and better left alone....? The only downside I know of, but haven't encountered myself, is a light oil residue around the filter. That's it. Last edited by CruxGNZ; 09-09-2015 at 11:53 AM. Interesting! I thought i had read differently... Anyone else want to weigh in? I too am looking to clean up my airbox after installing H Power stacks and was wondering if pod filters were the way to go. Crux has given me some good advice in the past, however some more opinions and experiences would be appreciated. Do you have pics of these filters in situ? I can see one in your pics, and how did you block off the holes in your airbox? Did you have to mod the hoses? Also do you have a brand name and part number for the filters you used? Last edited by kenmoore; 09-10-2015 at 05:12 AM. I tried looking through my photos, but couldn't find any showing both filters. The reason you can't see the other filter, is because I trimmed the hose, so the filter wasn't flopping around under the airbox. To close off the holes in the airbox, I used a Dremel and cut them flush with the bottom of the airbox. Then I used a plastic welder (or soldering iron works) and using the plastic I just removed, I melted that into the hole sealing it off. A small block of wood or metal held to the bottom of the airbox aids in making it look nice and finished... even though nobody will ever see it. An easier and faster way, would be to use a vacuum cap and some RTV or epoxy and cap the holes on the bottom of the airbox. I don't have a brand name or part number for the filters. I got them off eBay a year or two ago. I will check my eBay history after posting this. Most filters that are 1.5" tall, 2.25" wide, with a 10mm I.D. will fit. The Superhawk's hoses are roughly 20mm I.D. and the filters will push right into them with a snug fit. They won't go anywhere. I will get some filters and do the breather mod when I pull the plugs to check my carb setup. I just bought my first 99 Hawk! Anyone ever used a fuel mixture kit?